Solid Waste Authority Visitor Center — Song + Associates, Inc. 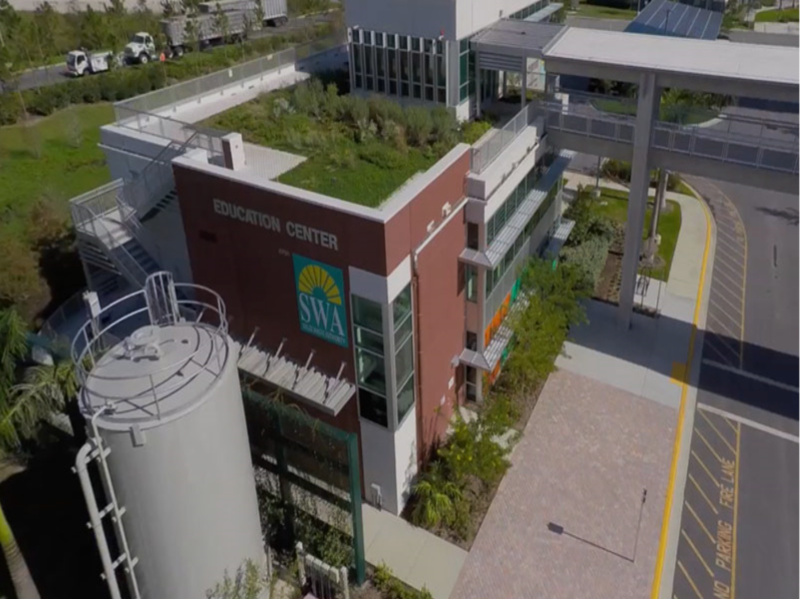 The Solid Waste Authority (SWA) of Palm Beach County expanded its award-winning solid waste management system, adding a new waste-to-energy (WTE) facility—the first of its kind to be built in the United States in more than 15 years—to its Palm Beach County Renewable Energy Park. 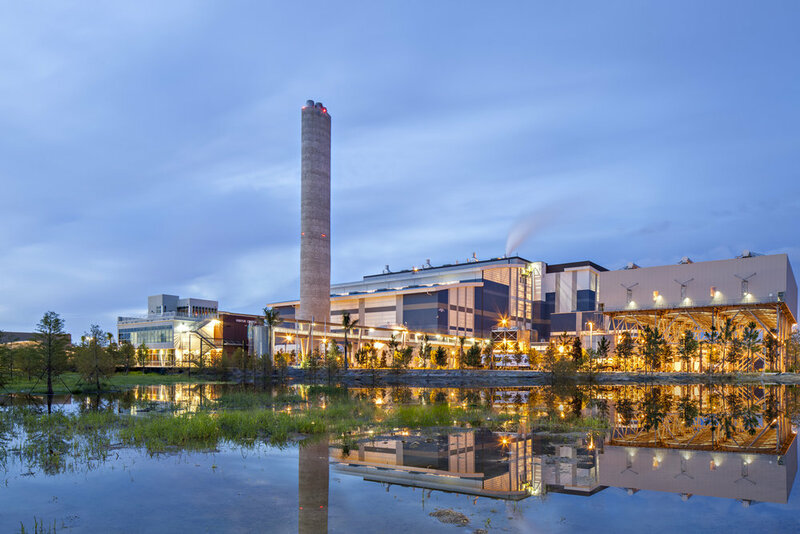 The plant processes one million tons of municipal solid waste per year and generates enough electricity to power 56,000 homes and businesses. The plant is also equipped with advanced control technology to reduce emissions. In addition, the emissions permit limits will be the lowest of any renewable energy facility combusting municipal solid waste in the United States. Song + Associates was selected to provide the architectural and interior design for the SWA Waste-to-Energy Visitor Center. 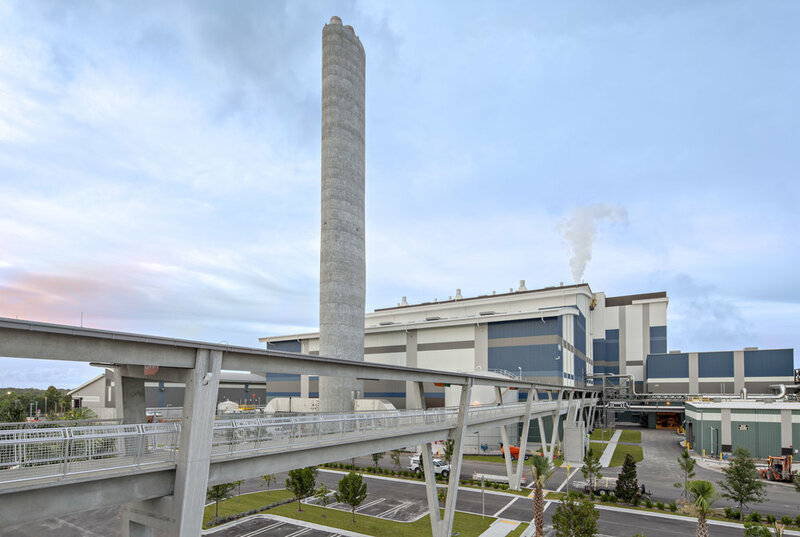 A sky bridge connects tour groups from the educational center to the main process building to witness the internal waste-to-energy process. The Visitors Center is now certified LEED Platinum; the highest certification a structure can receive. The center’s green features also include an elevator gallery penthouse on the rooftop, planted roof garden and a rain garden.